It is now December 27, 2005. I just wanted to thank you so much for answering my prayers with the man I plan to spend the rest of my life with, "LLOCC". If it weren't for the site, I never would have found my true soulmate and never been as happy as I am now. 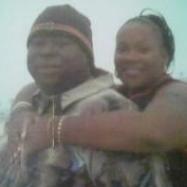 We met on the site August 6, 2005 and have talked ever since. He is the most important person in my life. We are so happy and plan to get married. God works in many different ways but he never forgets the ones in need. He watches over us all, and he knows just what and who we need in our lives. I honestly think that he put the site together for people to find their true love connections. I can't thank him or you guys enough. If anyone has doubts about that special someone, don't! Because, he or she is out there just pray and don't give up hope and they will come into your life, just don't mess it up on material things, age, or distance because you might miss out on the one!